Add your homeschool curriculum review of Skwirk - Tell us what you think of this online interactive learning program. 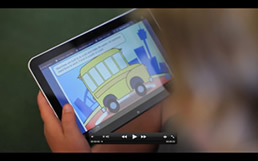 Skwirk is an online, interactive learning program for children from Kindergarten to Year Ten. You may choose to use Skwirk as a program to encourage independence in any or all of the learning subjects. When you sign up for Skwirk, you pay for the child, not for the year of access. At any time during the Skwirk subscription, you can contact the Skwirk Team and request to go up to the next year level. That’s a bonus – especially as homeschooled children do not always find themselves locked in a year level. It is easy for your child to work through Skwirk independently. It is easy to navigate, by subject, topic, and chapter. The topic can be explored through text, videos and animations and tested through a pop quiz and a test. The children can also work towards getting points to claim prizes in the Skwirk store. Once a topic or chapter has been read in Skwirk (individually or as a family), you may decide to continue the learning in other books you have on the topic or visit the library as well as do some experiments, a project, an art work or go on an excursion – to flesh out the study. I do not consider it to be a comprehensive homeschool curriculum if this was the only time you visited a topic. However, using it as a springboard for further studies is a way many homeschooling families would feel comfortable to use Skwirk. Alternatively, you can use Skwirk as a review of what you have been studying at home. You may use a text or other homeschool curriculum or homeschooling program and as a review, you may ask your child to read the appropriate Skwirk chapter or topic, watch the videos and animations and then take the pop quiz. Most homeschooling families use a variety of approaches and a variety of homeschool curriculum as they homeschool and seek to cater for their children’s needs and unique learning styles. Skwirk allows you the flexibility to use it as a standby curriculum, a springboard for discussion, or a review. Homeschooling families often homeschool their children to be directly involved with the learning (especially in the lower grades) and so would not use Skwirk as the only method of instruction, but consider it to be an excellent training for independent study in particular subject areas. 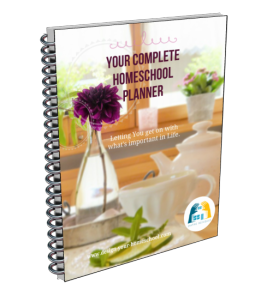 Homeschool Currriculum Review - Important Considerations! Cost – Skwirk is not an expensive program at $99 per child, per year; Skwirk is kindly offering 50% off to my readers. All you need to do is to enter the code: designhome. This offer lasts until the end of May. Ease of Use – My children really like the simple nature of working through the given subjects. No need to search for a book or find materials – just turn on the computer, login and you’re set to go. Depth of the program – I would not consider Skwirk as a complete homeschool curriculum, but rather as a way to review or enhance your own studies. As homeschool families, we have the privilege of taking a particular topic and going into depth, exploring many different facets through a variety of means – reading, listening, experimenting, going on an excursion, creating a project or artwork – and in that way develop the topic as a whole. In this context, I would consider Skwirk as a tool in the learning process, but not the only exposure. However, having said that, I also know that using Skwirk, has also opened up topics to my children which I have never explored with them. Learning Styles – Skwirk is great for readers and visual learners and also includes animations and video which would suit an auditory learner also. Worldview – All programs come from their particular worldview. Skwirk teaches ‘millions of years’ and an evolutionary base. I am not sure whether intelligent design/Creation is also taught as an alternative viewpoint at some stage in a different year level. Parents need to oversee all material that enters the home (whether they are books, texts, movies or tv programs), decide on age-appropriateness of differing viewpoints and take time to discuss the alternate views and create opportunities for children to learn apologetics in order to prepare them to engage with others with varying worldviews. For this reason, I would not consider it a hands-free approach. (but in my experience most homeschoolers are not 'hands-free' but instead very much involved with the learning and education that happens in the home.) 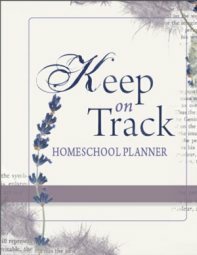 As all of our learning decsions, parents need to oversee, guide and be aware of the content of all homeschool material we use. Graded Learning - Skwirk is divided into learning stages and grade levels. This may become difficult when your child crosses grade levels in different subjects, mostly in areas of Math and English. Online learning. You need to consider when each child will use Skwirk / where the computer is located and so on. If you are a busy home school family wanting to make sure you are covering the Australian curriculum, provide a tool for the degree of independent learning which you are happy to provide, and have some work taken off your shoulders, then take a look at Skwirk. This new online, interactive learning program may really suit your current needs as a homeschooling family. Have you used Skwirk? Write a review and read Homeschool Curriculum Review of Skwirk Here! How to choose homeschool curriculum?